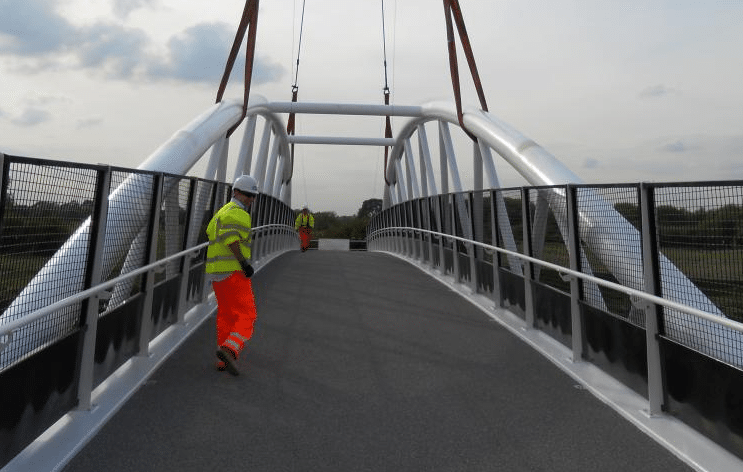 What Makes a Safe, Functional Bridge? It’s easy to takes bridges for granted. After all, we can become accustomed to crossing rivers, valleys and other obstructions without long detours or wet feet. Much of that familiarity arises from the fact that bridges are safe and enduring, for the most part. Famous footage of suspension bridges snaking in gale-force winds is notable largely for its rarity. Bridge safety depends on understanding the risks they pose or can suffer from. The correct choice of materials, a design that takes account of wind, floods or earthquakes, and regular inspection of the bridges’ integrity all play vital parts. Good traction underfoot, or under-tyre, is essential for elevated travel, and a well-prepared bridge deck must provide a stable, protective and safe surface. Modern traffic poses some interesting problems for surfacing, from heavy mechanical wear through to a range of chemical contaminants associated with motor vehicles, challenges easily met by modern coating materials. This entry was posted in Bridges and tagged anti skid, anti-slip, bridge, bridges, construction, functional, safe, thorgrip. Bookmark the permalink.